While 1999’s The Blair Witch Project set the precedent for found-footage horror films, Paranormal Activity breathed new life into the subgenre 8 years later (and thankfully made use of mostly stationary cameras, meaning less motion sickness). Based on the premise of a demonic haunting, the films themselves have been met with mixed reviews. Nevertheless, the franchise as a whole proved to be a massive financial success. Plus, like any good found-footage horror franchise, Paranormal Activity continues to terrify viewers to this day due to its innate sense of authenticity. The late George A. Romero is, by all accounts, the Godfather of the zombie movie subgenre. 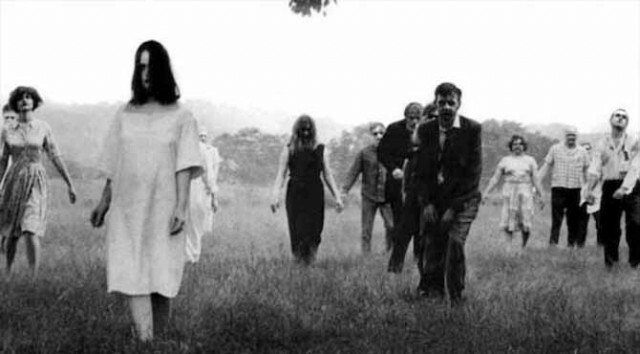 In 1968, he kicked things off with Night of the Living Dead, and since then, each of his Dead films has expertly blended profound social commentary with pure zombie horror. However, just because Romero has passed away doesn’t mean the franchise died with him; currently, there are two prequel films in the works, including Rise of the Living Dead, which is written and directed by Romero’s son Cameron.